Amazing Chicago’s Funhouse Maze is located on Navy Pier. Please note: Any payments or correspondence for the Maze should be sent to our Oak Brook office address which can be found on our contact page. The Maze is located half way down the Pier past Shakespeare Theater, before Riva Restaurant. Navy Pier has the most current information about all of these modes of transportation. 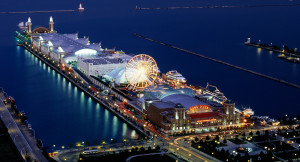 Please click here for a link to that information on the Navy Pier website.